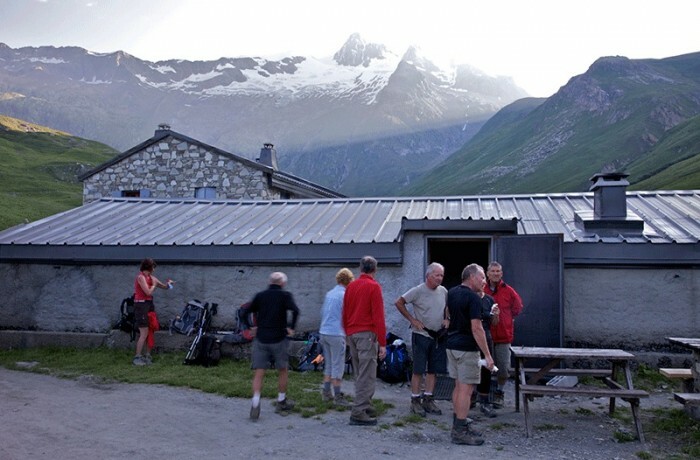 The refuge at Les Mottets is a charming old farmhouse that has converted old milking sheds into dorm style accommodation ( there are also private rooms in another building.) The farmhouse dining room is filled with old farming implements and is a lively place as often an accordion is brought out and French hikers burst into song! Below the refuge is an excellent Cheese producer who winds many awards and is well worth a visit.